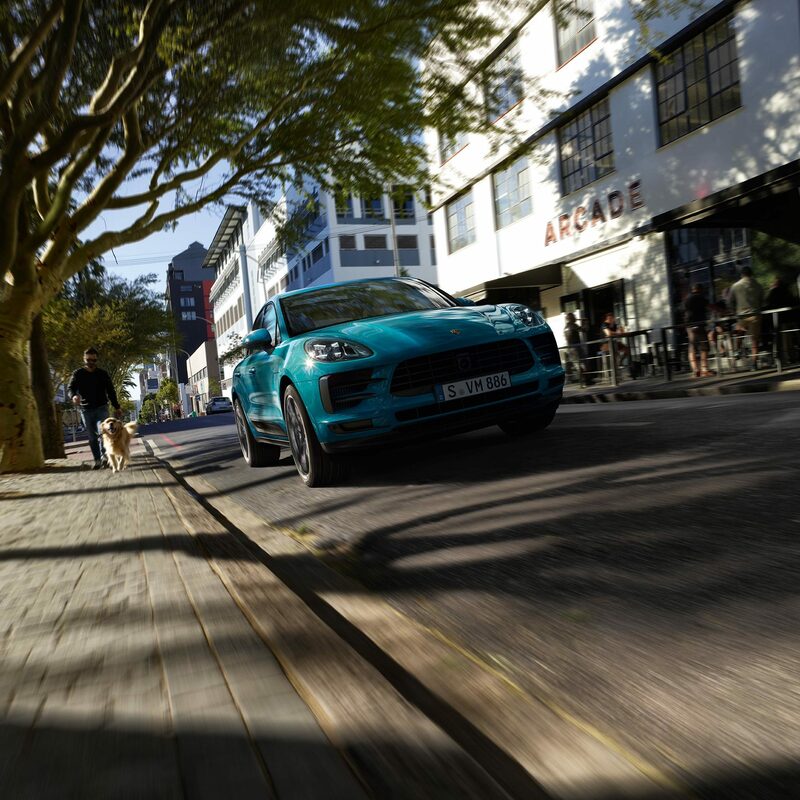 A compact SUV that inextricably combines sportiness, design and everyday practicality: the new Macan. For us, aesthetics are simply an expression of our personality. 4-year/80,000-kilometer (whichever comes first) limited warranty and Roadside Assistance program. Extends a full 12 years, regardless of mileage. 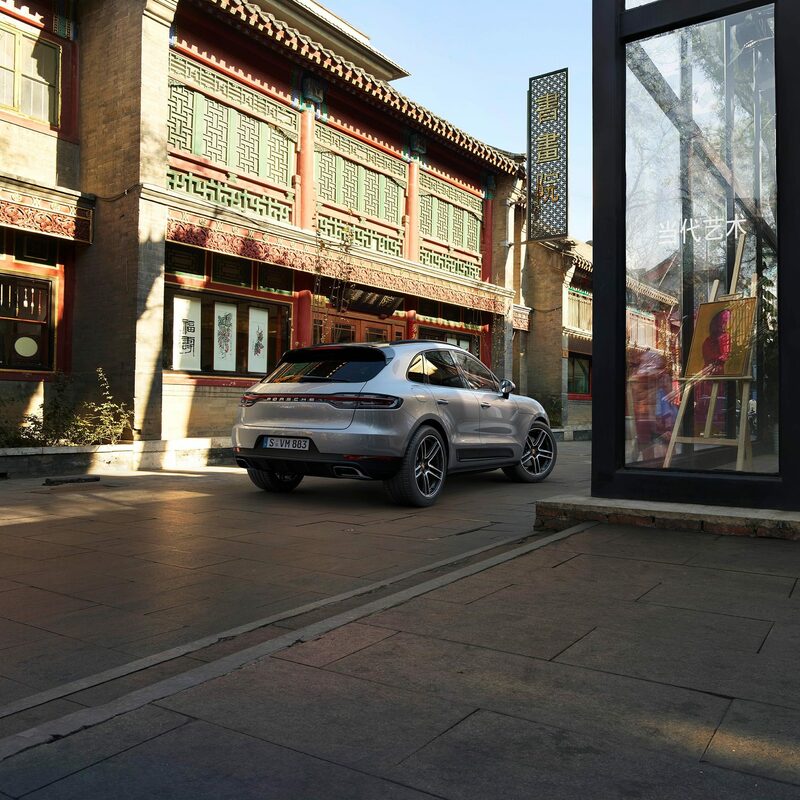 The broad shoulders above its rear wheels are reminiscent of the 911 and a further visual demonstration of the roadhugging nature of the new Macan. Its flank is also typically Porsche. From this angle, every muscle appears to be energized. Its roof line slopes to the rear just like a coupe, thereby creating a characteristic sports car contour with high aerodynamic quality. Our designers call this the Porsche flyline. You are seeking one experience after another; of course, you want the whole overview. The sporty front seats conveys the unique Macan feeling: you may sit high above the road, yet still feel closely connected to it. As a sports car manufacturer, we understand that a car and its driver must form a single entity. 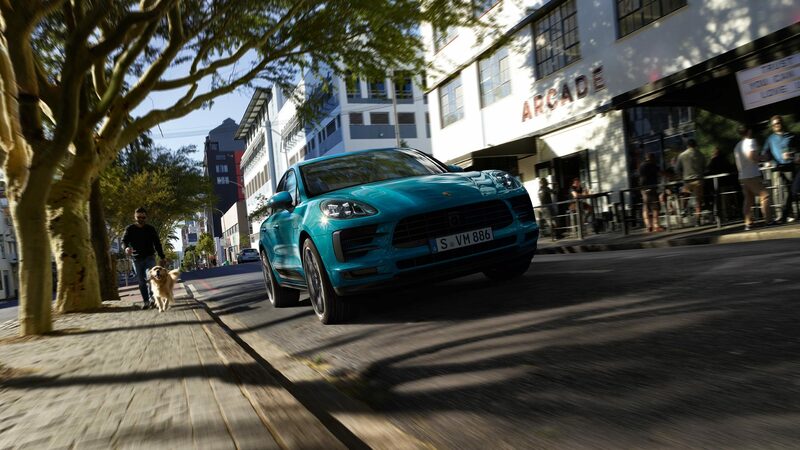 You do not simply sit in the Macan – thanks to its architecture, you are integrated into the vehicle. 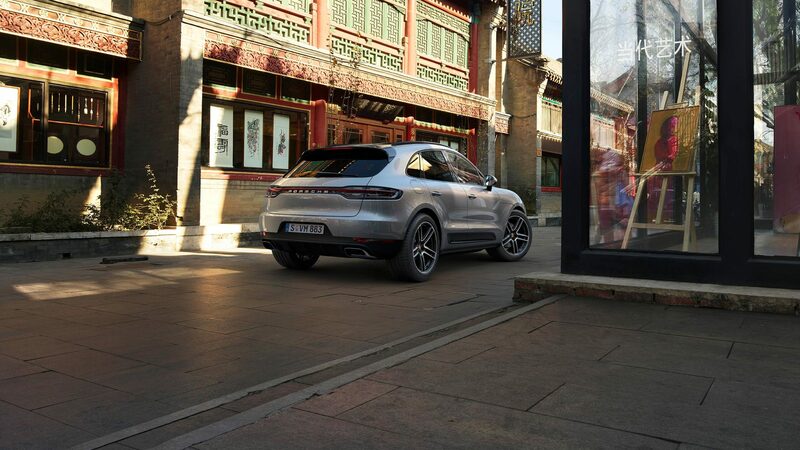 Additionally, the new design of the full-HD resolution 10.9” touchscreen display in Porsche Communication Management (PCM) has a start screen that can be personalized to your liking. With an intuitive menu, it provides even faster access to the main functions. It is no longer just about mobility. We do not simply drive in order to travel from destination A to destination B. There is much to discover and to experience along the way. We want every second of our life on the road and in our sports car to feel dynamic. 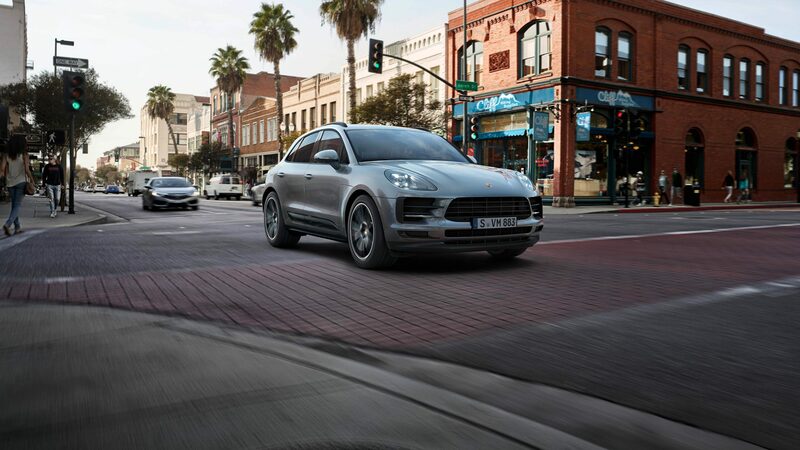 A Porsche delivers more than power alone. 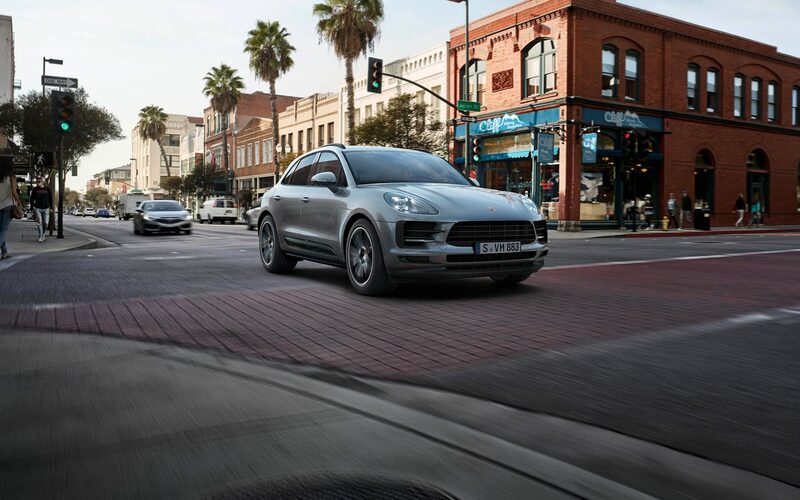 The active all-wheel drive system, Porsche Traction Management (PTM) encompasses traction, safety, outstanding steering and exceptional handling – traditional Porsche engineering. What about comfort? With all the sporty and control features, the optional air suspension guarantees a constant ride height – on any terrain. Porsche Active Suspension Management (PASM) also actively continuously adjusts damping force for each individual wheel. The result? Increased comfort and sportiness – in all seats. Your ears are also in for a treat: the optional sports exhaust system makes the typical Porsche sound even more powerful. 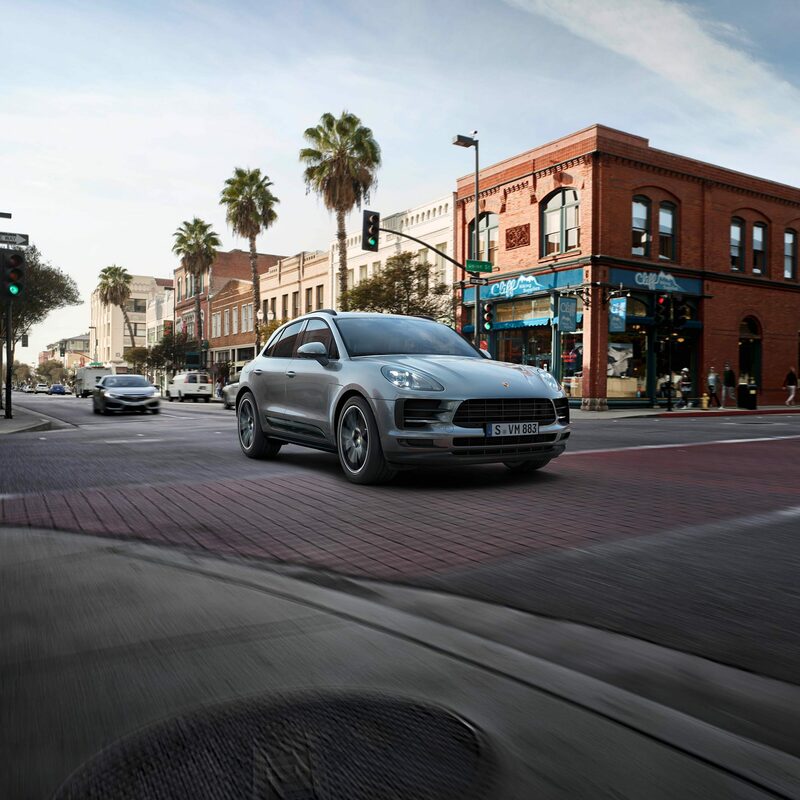 Apropos the audio experience: the BOSE® Surround Sound System and Burmester® High-End Surround Sound System are available options for the Macan models. To be able to breathe freely while enjoying the experience, a three-zone automatic climate control is fitted as standard. The optional ionizer is a new addition – for improved air quality that enhances your wellbeing. Our lives are eclectic and thrilling. We are constantly on the move and want to know everything that is happening around us. The new 10.9˝ touchscreen display with full-HD resolution provides even more interfaces with your next adventure. The start screen is not only intuitive but can be personalized to your liking. The standard online navigation system ensures that you arrive at your next adventure quicker than before. 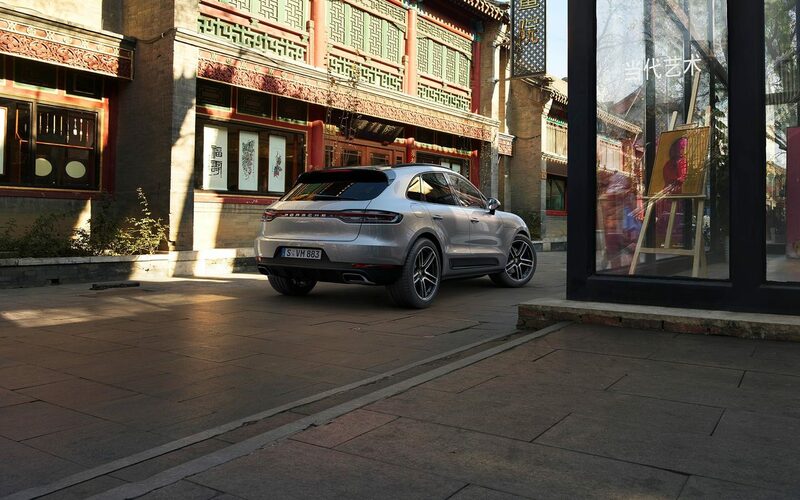 Connect Plus assists you with real-time traffic and online map updates, while the Porsche Connect app allows you to determine your preferred destination and send it to your Macan. What more do you need to complete your journey? The music streaming function that plays all your soundtracks of course. Always on tour. The pulse sets the pace. The first chord shakes the world. The sound reverberates through every fiber. The feeling of being alive and the expression of an unconventional life. Two top artists will bring you into this world. 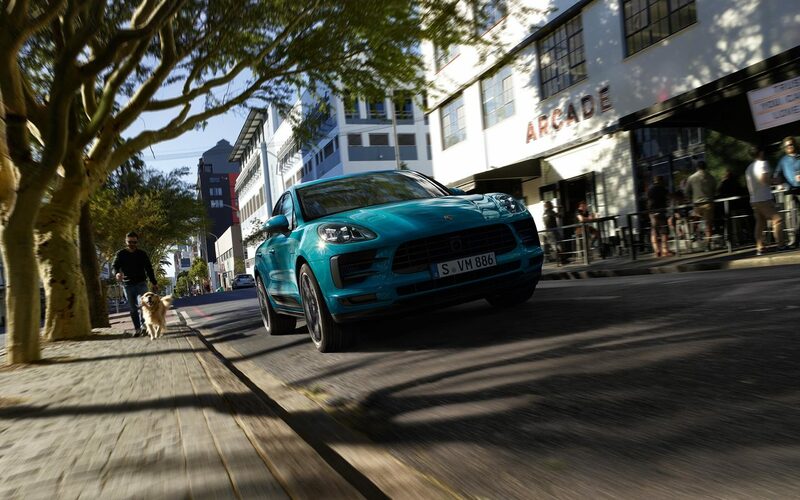 Joining you – the new Macan. What makes your pulse race? Find out. With the most universal language in the world – music. Porsche style.